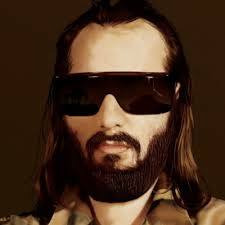 Back on April 1st, I made my debut run to le Poisson Rouge in SoHo to see Sebastien Tellier, a Francophone if I have ever seen one. In the pouring rain the Euro ex-pats dutifully waited in the rain to enter the basement venue and then wait until 12:15am for this wackadoo to come on stage. Damn entertaining though and a nice sized venue. At one point he prefaced a song by saying, "This song is about bisexuality, my bisexuality" and proceeded to play a 10 minute song where he licked the microphone every 30 seconds or so; I am pretty surprised he didn't get electrocuted or at least shocked towards the end.